My husband, Monch, will be celebrating his birthday this month. Since it will be his special day, I would love to make his birthday a very memorable one. To start with, I am now busy searching for the perfect gift for him on his natal day. What made this “task” more challenging is that, my husband and I are always together most of the time, thus, I find it kind of hard to look for a birthday gift for him without his knowing. Because of this, I am considering of buying him something that’s not hard to find but he can use every day. Maybe, I’ll just go through Men’s flip flops section of the department store next time, what do you think? 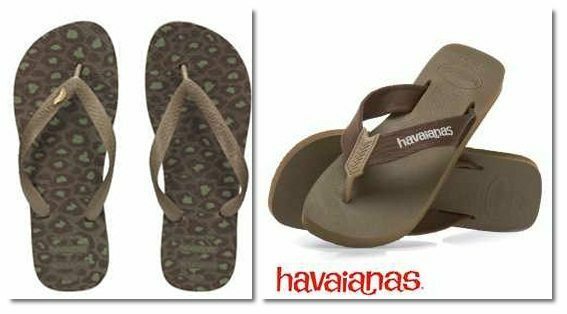 Flip flops for men are now becoming a fad, especially the use of flip flops products that comes from respected brands like those of Havaianas. I bet my husband will surely love it because he is not the shoes-type of person; he loves to roam around on his sandals or flip flops. Sometimes, he finds it uncomfortable to wear shoes, especially shoes for formal occasion, because he is not used to it. As a result, we end up staying at home and browsing through the web instead of attending the event. Well, I guess, that’s it! I’ll just surprise him with a pair of Havaianas’ flip flops on his birthday. Although it may seem to be a common gift that he can buy for himself anytime, after all, it’s the thought that matters, right?